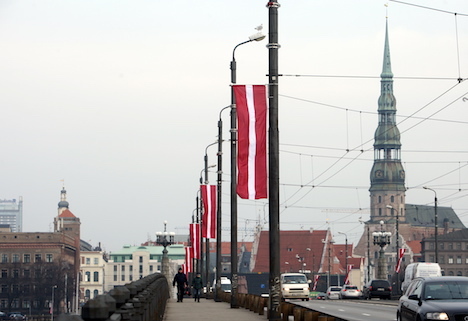 No significant changes to the weather are expected to occur in Latvia in the next seven days. The sky will remain cloudy. There will be periods of thick mist. Wind speed will increase gradually, blowing the mist away. Air temperature is not expected to drop below 0° C, as reported by Latvian State Environment, Geology and Meteorology Centre. On Friday, 9 November, many parts of Latvia will experience thick mist and some precipitation. On Sunday, 11 November, weather in Latvia will be dictated by the south-west portion of an anticyclone. Wind speed will increase, reaching 15-17 m/sec. The sky will become clear from time to time. Air temperature will stay within +3° C… +9° C in the country. Some precipitation is expected. From Tuesday onward more precipitation will appear in the country. This includes wet snow. Wind speed will likely increase in the second half of the week. There is a risk of a storm in Kurzeme. The sun will appear every now and then, even though weather is expected to be cloudy. Meteorologists say current forecasts suggest no major weather changes for next week. Weather will likely stay warm and rainy.